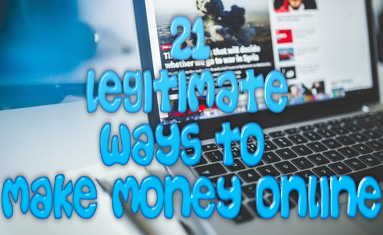 With the various ways that you can make money online today, it is no surprise to me that many people would come across various programs that promise to make them money practically on autopilot. The problem is that many of these “programs” make these same promises over and over again and sometimes it is just too hard to determine whether or not these programs will stay true to their promise. Is Bonus Busters one of these programs? The only way to find out is to check out my honest Bonus Busters review below! Bonus Busters is a relatively new program that is going to be hitting the Internet in just a few short weeks. Pretty much what it is, is a “sure fire way to make a ton of money” with binary options. Basically, this program is nothing but a bot this is specifically designed to tell you when to begin trading your shares in the foreign exchange market. The bad part about this bot is that another one was made years ago by the same owner and it was known as the Pro Robot. It was sold (just like this one) on the Clicksure marketplace and many people bought it just to find out that most of the time that bot made mistakes….mistakes that cost a lot of people thousands of dollars. Who Is Bonus Busters For? This program is specifically for those who are already trading in the foreign exchange market or who are very interested in doing so with minimal work or without prior training knowledge. This is something that I truly dislike about this product simply because there are so many of these bots out there that claim to do this and the only thing that happens is that people lose a ton of money in the process. In order to be a successful trader, you need to have an education about trading, lots of practice under your belt and have to actually know what you are doing in order to trade. If you do not even know the basics of trading, even a robot won’t be able to help you. While this product is only about $47 on the Clicksure marketplace, you are not shown the realistic monetary amount that you are going to have to spend in the end. In order for this “bot” to work you need to invest money into the foreign exchange market broker itself which can range from $200-$1000, on top of the cost of the bot! It would be fair if the own of this bot actually told you about this up front wouldn’t it? If you are new to the only trading world, I promise you that you are not going to know how to use this bot. Again, in order to use this bot correctly it is best that you have a thorough understanding of the forex market itself and know how to place trades instead of letting a program do it for you. For a beginner new to the forex market, this product will only ensure that they lose any kind of money they invest. 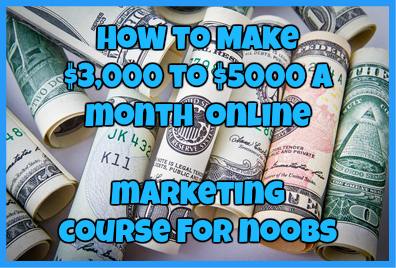 In my final opinion this is one of those programs that swears you have found the one program that can make you the millions you want without having to work at it. This product is not the secret it claims to be and will only turn around and slap you in the face in the end. Honestly, I don’t think it is worth your time or money. You will only end up losing money in the end. And to be frank, there are way better programs to spend your money on than this garbage. ← Is Global Test Market Survey Scam Just That…Yet Another Online Scam? Thank you very much for your insight. It is always good to hear from another person who has tried the product for themselves.